Getting some hexagons ready to take with me on my trip. 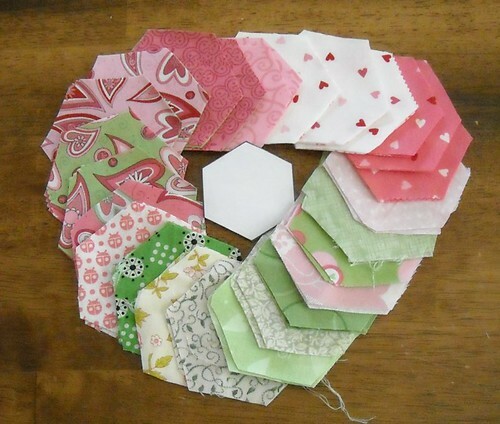 I just need to print out and cut more paper hexagons and then I'll be all set. I have found that this is a great take along. I bring it with me wherever I go. Waiting in the carpool line. Long trips in the car and vacation. Nice a portable. Enjoy your vacation! I LOVE those fabrics. How fun! Beautiful fabrics!!!!! y love pink and green together also lilac and green. Love the pink bug's fabric! Enjoy your vacation, look forward to seeing the finished hex!